SilverSneakers® Classic Have fun and move to the music through a variety of exercises designed to increase muscle strength, range of movement and activities for daily living. Hand-held weights, elastic tubing with handles and a ball are offered for resistance. A chair is used for seated exercises and standing support. SilverSneakers® Circuit This class incorporates low-impact choreography alternated with standing upper body strength work using hand held weights, elastic tubing with handles and a ball. A chair is available for support. This class is suitable for nearly every fitness level and can be adapted depending on the skill of individual participants. SilverSneakers® Yoga Get ready to move through a complete series of seated and standing yoga poses. Chair support is offered so you can perform a variety of seated and standing postures designed to increase flexibility, balance and range of movement. Restorative breathing exercises and final relaxation will promote stress reduction and mental clarity. This class is suitable for nearly every fitness level. 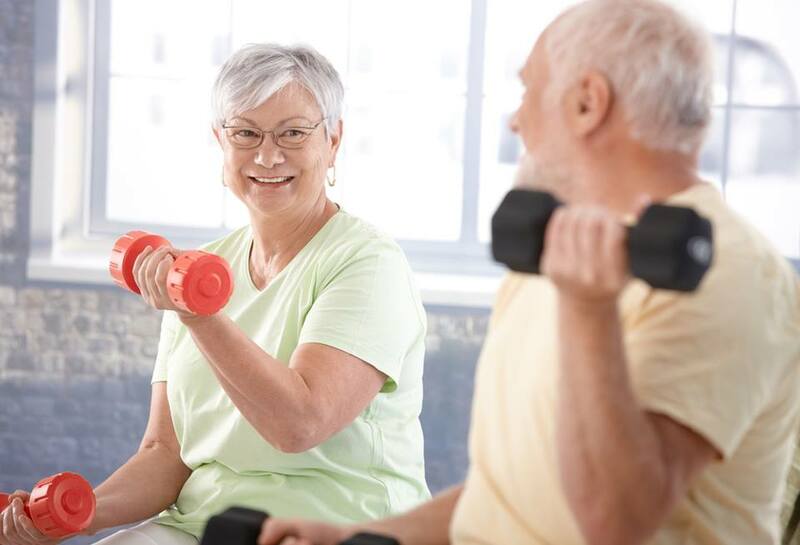 As a member of SilverSneakers® you are not limited to taking only SilverSneakers® classes, but can participate in a variety of Group Fitness classes, free of charge. For more information on SilverSneakers®, please contact the Rec Center Front Desk at 319-295-2552. SilverSneakers® participants enjoy a bond beyond the gym, with workout partners planning get-togethers, looking out for each other and motivating each other to continue exercising! We believe you will enjoy every visit to the Rec Center, and are confident we have all the programs, services, equipment, and expert fitness staff to help you attain whatever your goals may be.